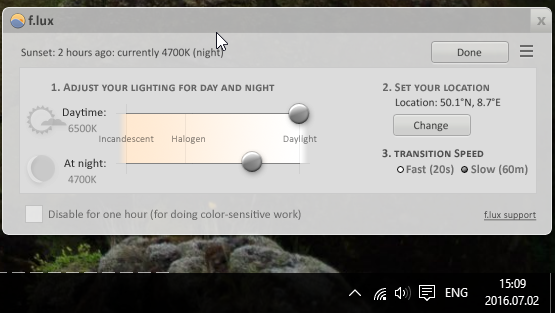 I have installed flux on Windows and even though my location is right, it has the sunset time totally wrong. It thinks the sen set here at 13:00. @YourFriend Check not the clock time but the time zone. Check the location with a map service.